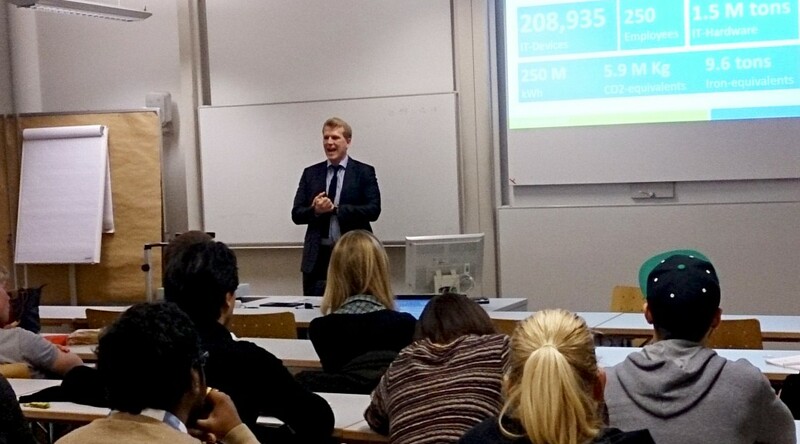 Last Thursday, Enactus Frankfurt School and FS Board for Young Entrepreneurs invited Alexander Kraemer, chairman of Enactus Germany Alumni, to speak about the topic Social Business or How to Change the World while Making Profits. Alexander Kraemer is CSR Manager at AfB Social & Green IT, a social business dealing in refurbishing and remarketing used IT equipment. Founded in Germany in 2004, the company will generate 8 million Euros in revenue this year by processing over 200,000 old computers and other IT devices provided by well-known business partners like Siemens and Rewe. Nevertheless, it has yet to yield any monetary dividends, thereby following one main principle of social business. As Alexander Kraemer stressed, social business does not aim at generating a dividend in the usual sense of the word, but instead at acting environmentally conscious and providing good working conditions and wages for the employees while at the same time maintaining financial and economic sustainability. Social business tries to obtain a social return on investment instead of a financial one. AfB Social & Green has already created more than 200 jobs, one half of them for disabled workers. After explaining the main principles of social business, Alexander Kraemer then presented our initiative Enactus to the audience. Our Alumni chairman praised the current Enactus projects and teams to be of good quality. As an example he told the audience about a teaching-project of Enactus Karlsruhe. Elderly people learn computer skills like using a laptop or online banking. There is a small tuition fee per lesson, so the project is self-financing, as Kraemer emphasized. 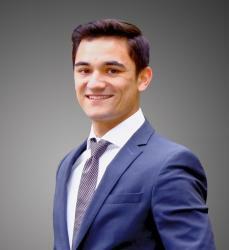 He underlined that the business part in Enactus projects must not be neglected, and is essential in social business. Kraemer underlined the many common values and joint convictions between social business and Enactus: to improve people’s livelihoods in an economically, socially and environmentally sustainable way. He then exposed the problem of measuring the achieved improvement of people’s livelihoods and warned the Enactus teams not to base measurement solely on assumptions and personal impression. In social business, quantifying the impact is one major problem. At the end of his very interesting and informative presentation Kraemer told us about his great professional satisfaction and the personal fulfillment it brings him. “You can find a job for everyone. I had never thought that working with disabled people would be so much fun,” he said. Indeed, this should be a very high return on his great entrepreneurial investment.